I have yet to meet a busy mom who finds their morning routine easy. Getting everyone ready and out the door can be maddening. So, we often lower our standards. But researchshows that appearance matters. What your kids wear can impact their mood, their confidence, and even their health. Moreover, how your children look can affect others’ impressions of them. For better or worse, this can start long before your child has any concept of style. 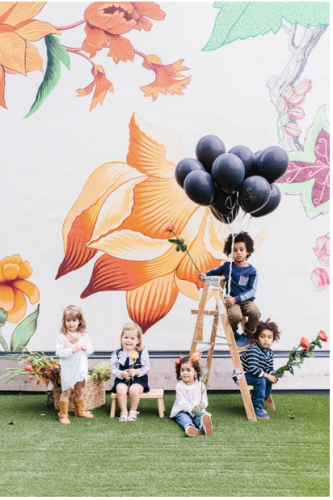 Teachers and other caretakers may make quick assessments about your child’s personality based on what he or she is wearing starting very early. So, here are tips for encouraging your children to put their best foot forward – without adding stress to your morning. 1. Re-evaluate your children’s current wardrobe. Consider their current clothing. Is there a shirt that just doesn’t match with anything? Shorts that don’t quite fit? A dress covered in stains? Get rid of all of it – with one exception. Keep a few clothing items for days that your kid needs to get dirty (like school field day or when you work on gardening projects). Put those items away separately, so they aren’t used on a regular basis. Kids grow out of clothes quickly, so instead of buying a lot of clothes at once, select just enough items to get them through the current season. This will prevent you from buying something adorable… that doesn’t fit when the season for it finally rolls around. And higher quality items will look good longer, since they are made to last. You can try to teach your child how to match items… or you can use this nifty tip to prevent the problem altogether. Roll shirts and bottoms together before you put them away in the drawer. Your children can still have autonomy over what they wear. But you have assurance that the selection will actually look good together. 4. Pick out clothes the night before. This gives you another chance to review their outfit – without the rush and stress of morning deadlines. You may notice stains, rips, or other issues you didn’t when putting their clothes away. Also, when kids wake up and see an outfit ready and laid out, it serves as a reminder, making them more likely to put it on without being asked. 5. Put away out-of-season clothes. In the dead heat of the summer, no one needs long-sleeved shirts or heavy sweaters. Similarly, your child can’t wear a tank top on a snowy day. So, prevent the battles before they even start. Take those clothes out of the drawers. Use the opportunity to give away items that are too worn, stained, or small. Pack the rest away in a labeled box in the closet until they become appropriate for the weather again. Involve your children in the process of selecting clothes. This doesn’t have to mean dragging your kid to the store and attempting to keep their attention. Instead, do your shopping online. You can choose a particular site with styles you already like. 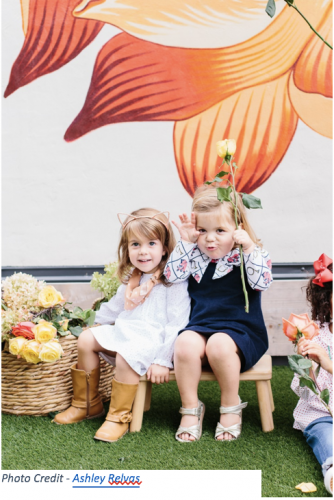 Stick to sites with kid-friendly clothing, like Little Birdies Boutique. Avoid shops that sell more “grown-up” styles you might not be comfortable with yet. If you want to narrow it down even further, put items you like in your shopping cart. Then let your child choose between them. This will give your child a feeling of ownership over their clothing, which can encourage independence and cooperation in the mornings. Consider keeping hair shorter, so it takes less time to brush and style. Or you can find hair styles, such as braids or buns, that don’t require perfectly brushed hair to look good. Juliana Weiss-Roessler is a busy urban mom in Austin, Texas. She runs WR Writing, a writing and internet marketing company, with her husband Josh. And she is the proud mother of a three-year-old daughter and six-year-old son. Core Work to Control Your Halloween Candy Cravings! A day for little Yogis! Hi, I think you have no ideas how many moms you help by this informative article. This is super helpful for the working mom. One of my cousins recently became a new mom. I am going to pass this suggestion to her hope so she will be benefited from here. Thanks for your helpful article with lots of information.